Barnabite Heart To Heart Ministry now offers Online Giving! 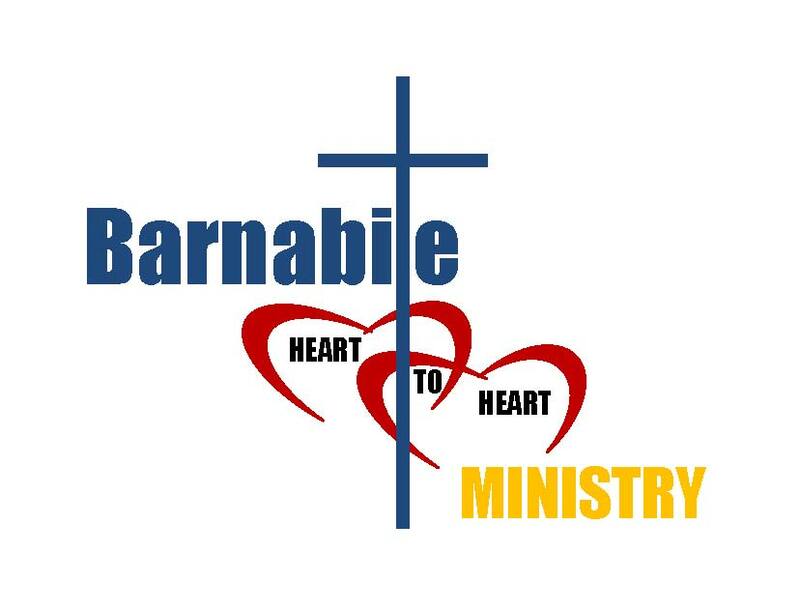 Online Giving is an option for all who wish to financially support Barnabite Heart To Heart Ministry and their efforts. Online Giving at Barnabite Fathers is a secure process monitored by Our Sunday Visitor. 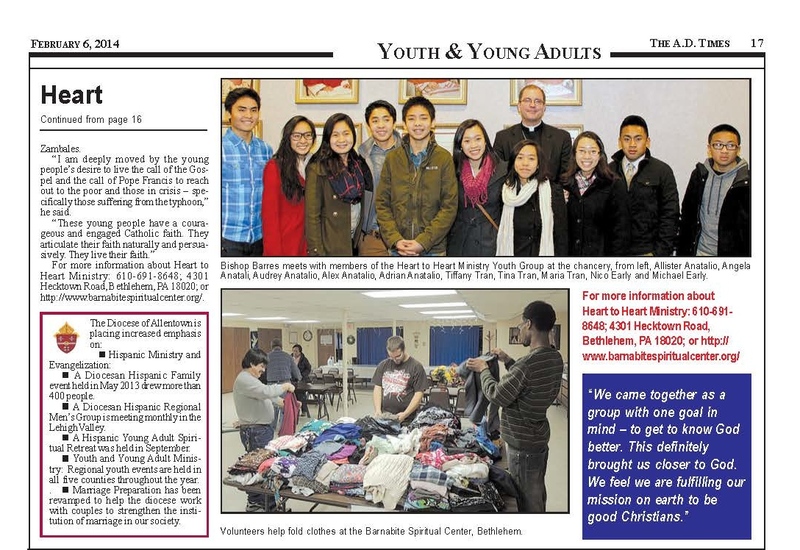 The Barnabite Fathers in Bethlehem accept monetary donations to pay for shipment of gently used clothing for the victims of the Typhoon Yolanda in the Philippines. 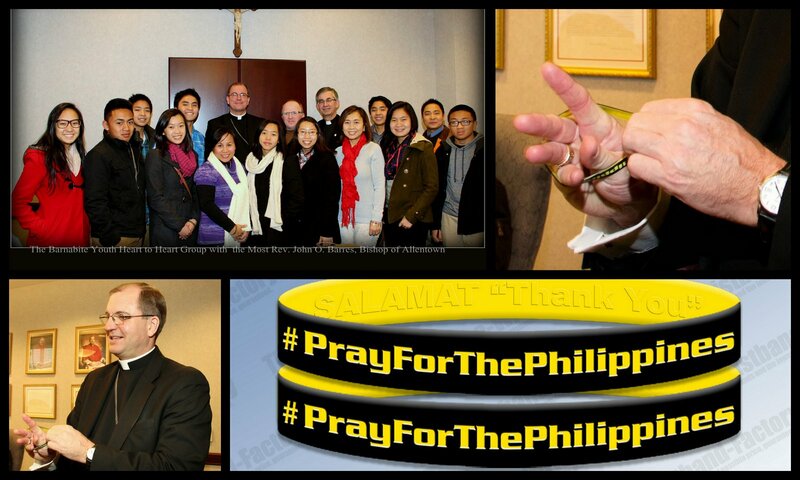 Thank you for your support of this missionary endeavor. The CROSS in the middle signifies God’s centrality in all we do. God is the Source of our strength and the Reason for every effort we make. He alone makes our ministry successful and significant. It is also the cross that binds our hearts in God’s love. The two HEARTS stand for unity of mind, body and spirit. We aim the same end; we work hand in hand—together. They also stand for responsiveness toward others. Our hearts extend to all hearts to show support, compassion and love—God’s love. 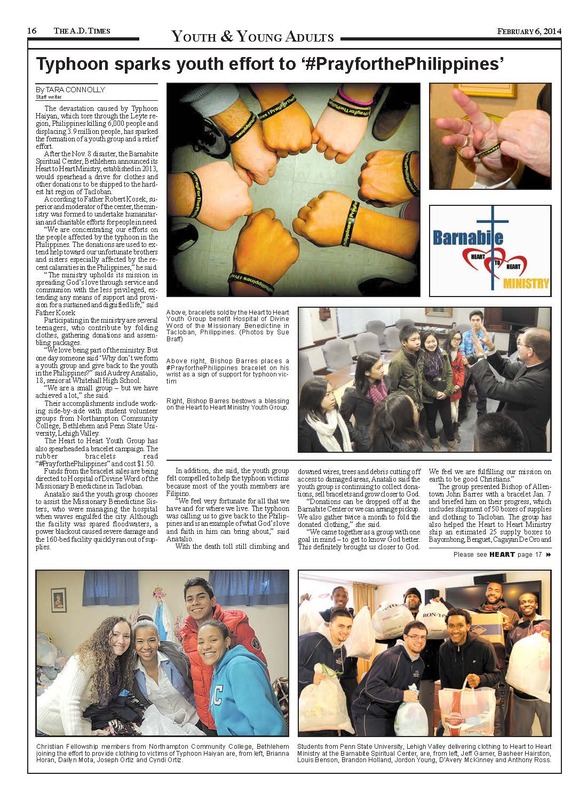 The BARNABITES initiate this ministry in line with their Congregation’s charism: to renew Christian fervor in the world—a fervor which stretches out to charity and service among God’s people. The Most Rev. 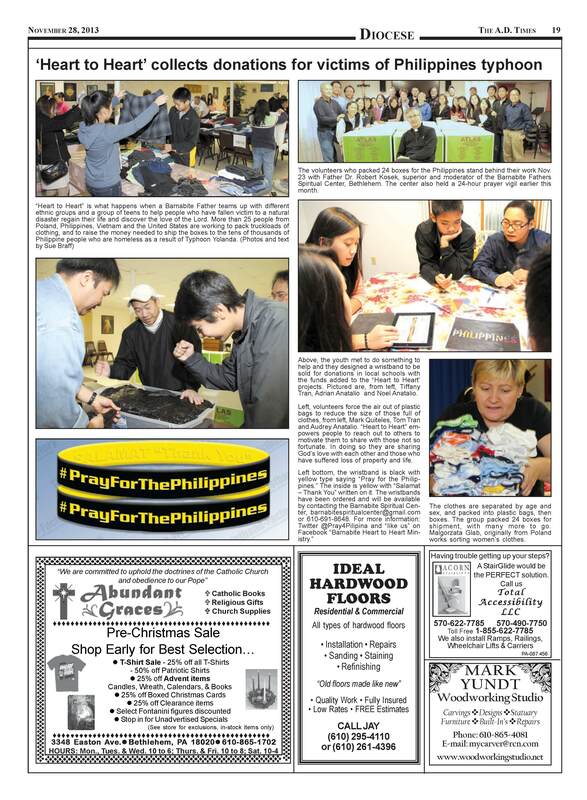 John O. Barres, the Bishop of Allentown, praises the efforts of the Barnabite Yourth of Heart to Heart for raising the funds for the sick children affected by typhoon Yolanda recently treated at the Divine Word Hospital in Tacloban, the Philippines.